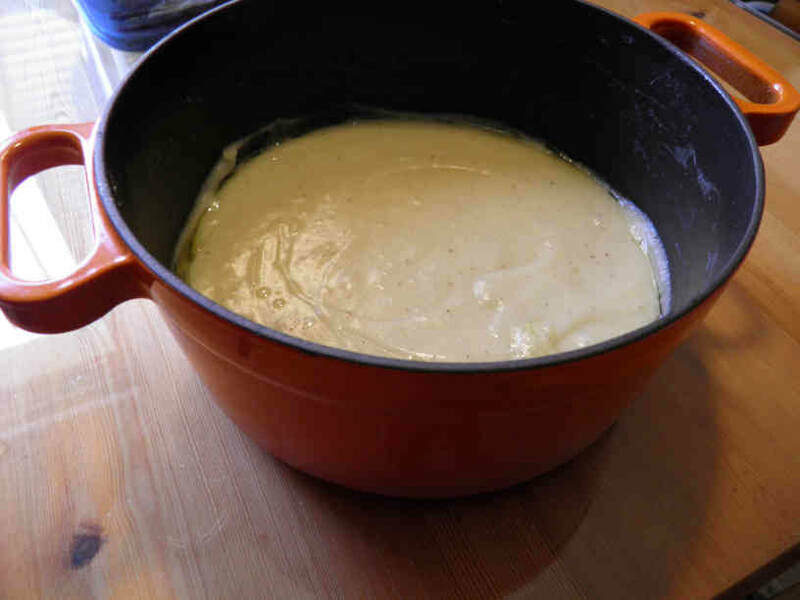 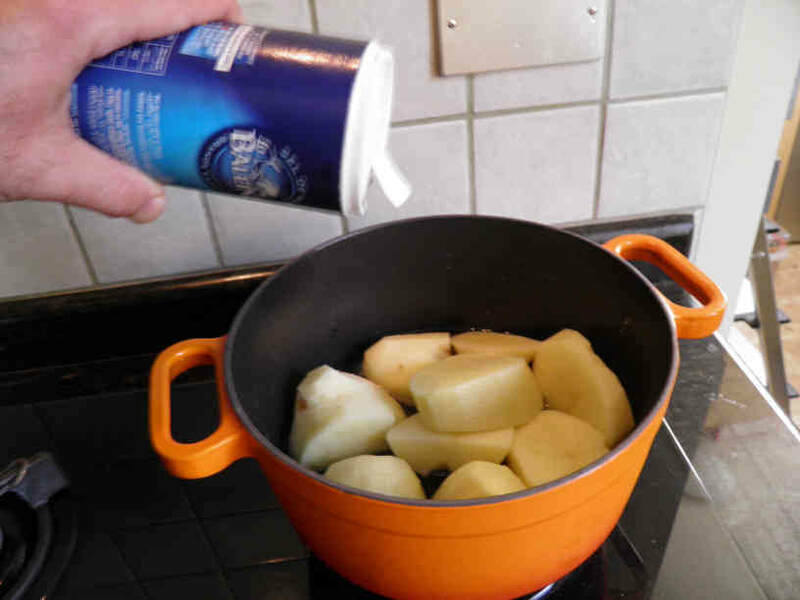 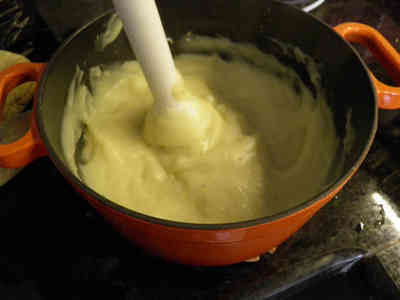 How to make a potato puree with no milk ! 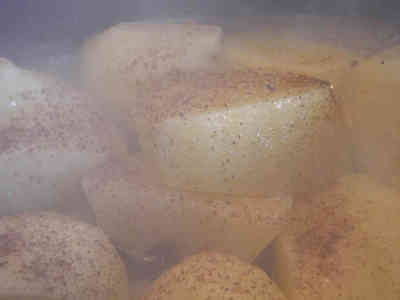 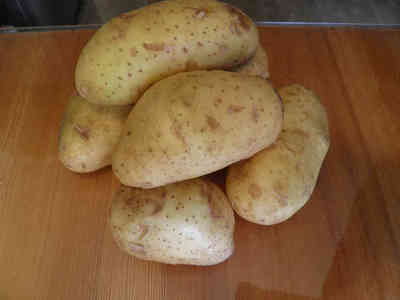 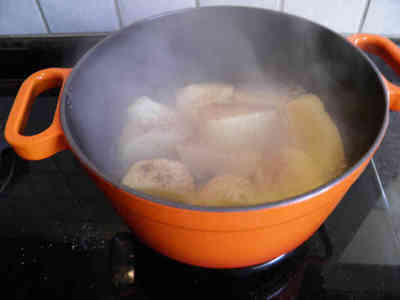 Wash the potatoes under running water and peel them. 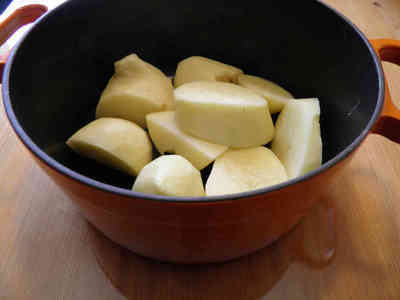 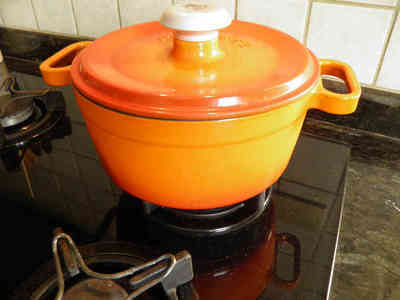 Cut them into medium pieces, put them in the cooking pot, add salt, add water until they're half covered then cover the pot and put at medium heat. Add black and white pepper to taste as soon as they start softening. 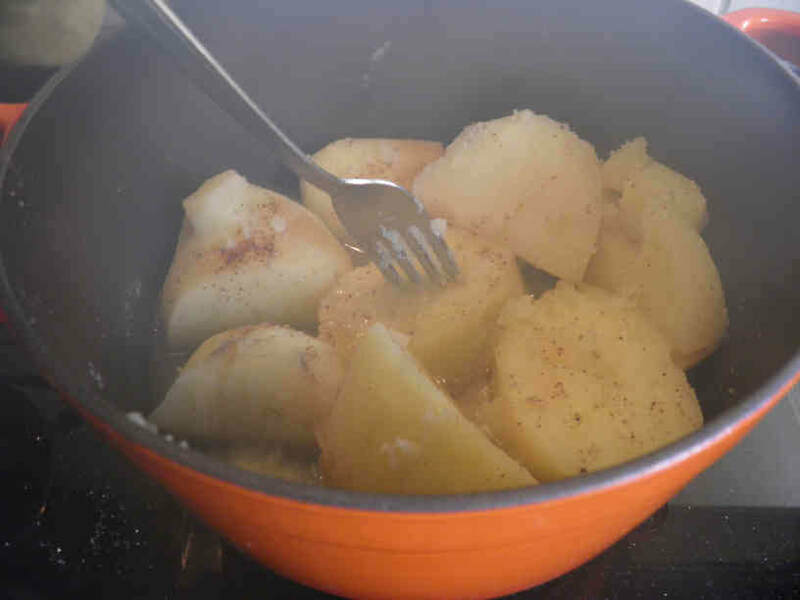 Test the potatoes with a fork until they are soft enough. 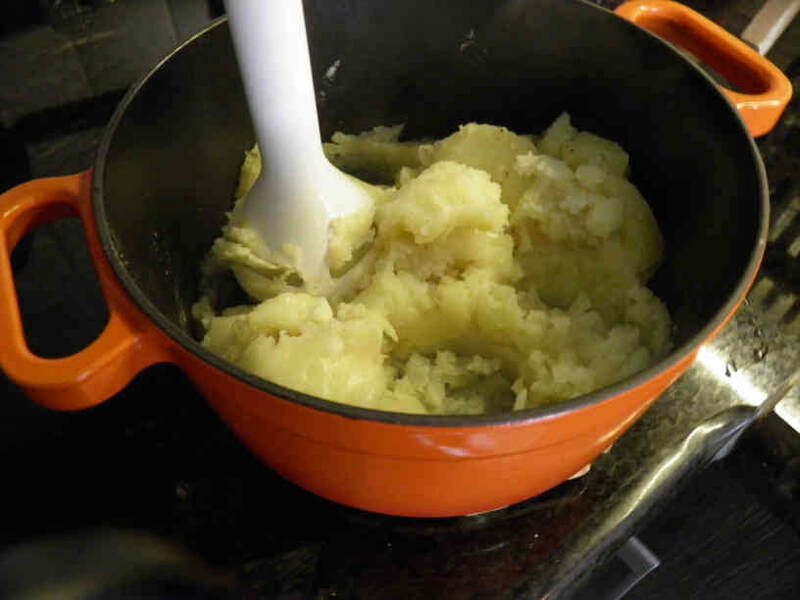 Allow them to cool for a few minutes and smash them with the immersion blender. Add the olive oil little by little and blend again. 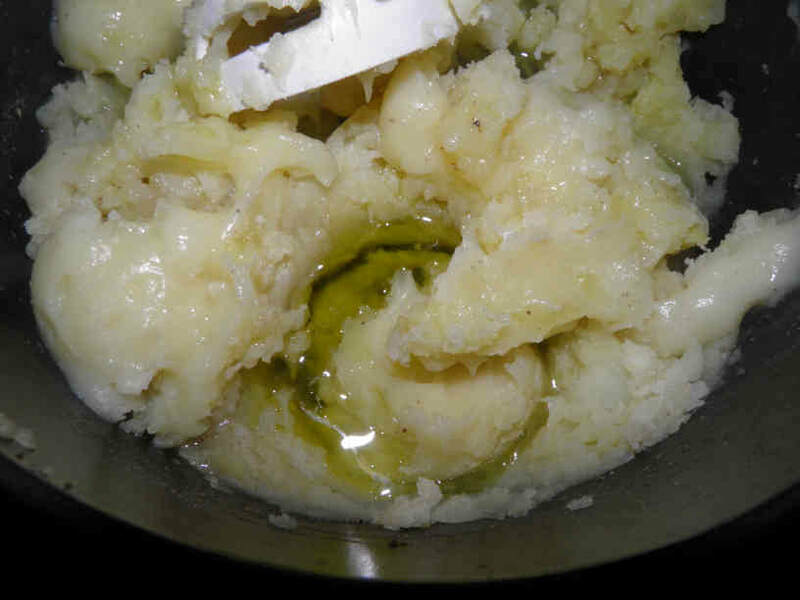 Do not add all the olive oil at a time to make sure you do not put too much. Keep tasting and adjusting the oil, pepper and salt as needed. 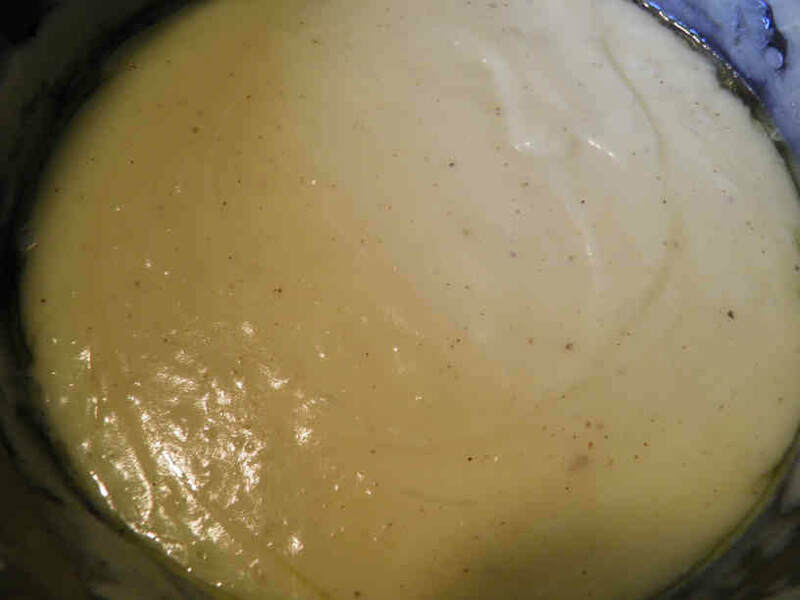 You should end up with a smooth, textured, delicious and nice smelling potato puree with no milk!